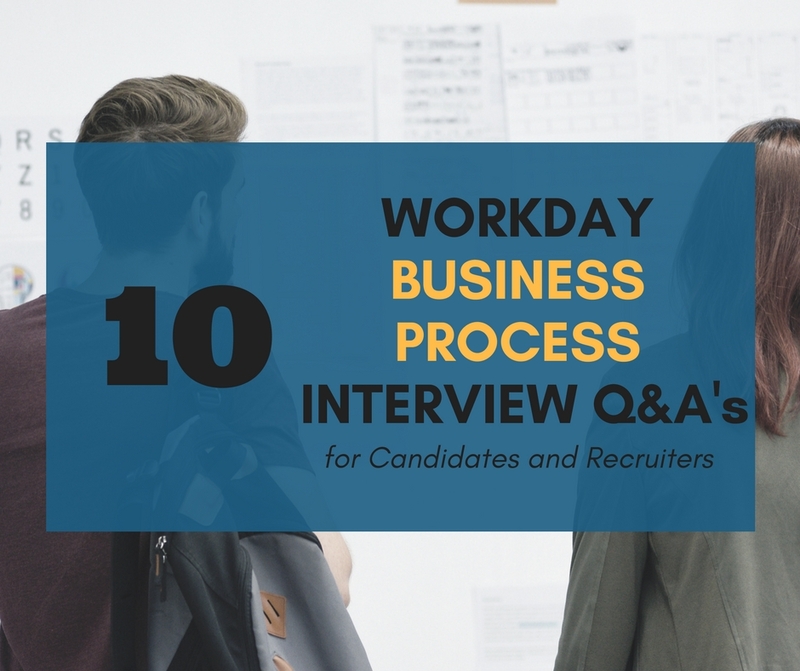 In the third part of our Workday Interview Questions for Candidates and Recruiters series we are addressing Workday Business Process configuration. Always remember to look into Workday Learning and Workday Community as your primary source for official Workday documentation. Business Processes are a core functionality within Workday. It defines how major events flow, and allows the configuration of approvals, conditions, notifications, etc. Even if your role or your candidate’s role does not specify ‘Business Processes configurations’ as a necessary skill for the job, chances are at some point there will be a need of changing one configuration. As a consequence of this, it’s essential to have at least a basic knowledge of how this functionality operates in Workday. How can you edit a Business Process Definition? What will happen to the Business Process events that are already running if you modified the Business Process? Search for the Business Process name and do Business Process > Edit Definition of the related actions. Business Processes events that are already running will not be affected by the new definition, and only new events will pick up the changes. What is the search prefix to limit a search to business processes? Which task can help you test assigned steps in Business Process regardless if that step is assigned to yourself or to another person in the organization? How do you configure that task? What are the environment limitations? The task is called “start proxy.” Proxy policies are configured from the “Create Proxy Access Policy” task. Proxy cannot be executed in production environments. How can Organizations be tied to Business Processes? Give an example of why is this important. Workday allows the configuration Business Processes per Organization. When executing a Business Process with multiple Organization-dependent definitions, Workday will follow a hierarchy check to select which definition to execute. An example could be multiple Hire Business Process Definitions dependent on departments, e.g., Hire for IT Department, Hire for Finance Department, Hire for HR Department, etc. How can you modify who can do specific actions in a Business Process? By editing the Business Process Security Policies. What report can provide you all details of the actions available for a specific Business Process Type? What type of conditions can be defined as Business Process steps? Entry conditions, exit conditions, while running conditions, validation conditions. What type of approvals can be configured in a review step in a Business Process? What is a Business Process completion step? Why is it important? What happens if there are no steps marked as completion step in a Business Process? The Business Process as marked as “complete” once the completion step finishes executing. It is important because other actions could depend on the completion of a Business Process, but do not depend on all of the steps being executed. For example, a candidate had a successful interview, and our organization wants to move ahead and hire the candidate, but his position needs to perform an extensive Background Check BP. Supposing that we do not need to wait for all the information to come back from the Background Check Business Process, we can set the completion step before the last step. That’ll allow the Pre-Hire or Hire Business Processes to continue their execution, and may enter the Background Check Business Process before the Pre-Hire executes all the steps. If there are no steps marked as a completion step, then the last step will be the completion step by default. What actions can you do with a Business Process event if you want to alter its behavior once it is already running? What search prefix can you use to search for those events?